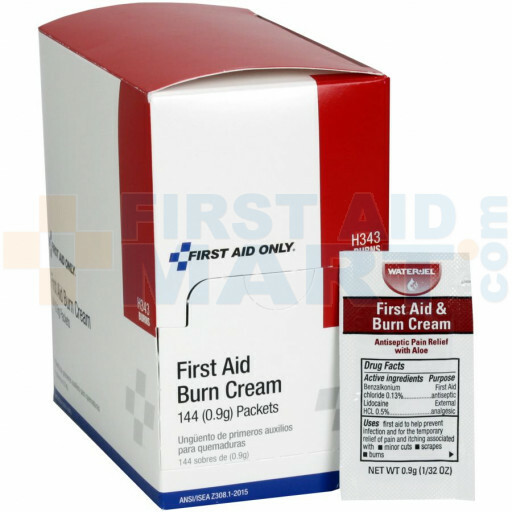 Be prepared for cuts, scrapes and burns with one product. 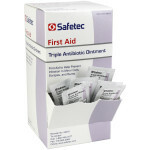 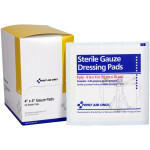 This First Aid antiseptic and external analgesic helps prevent infection and relieves pain due to minor cuts, scrapes, and burns. 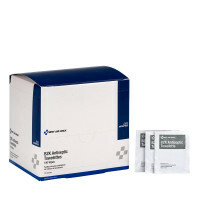 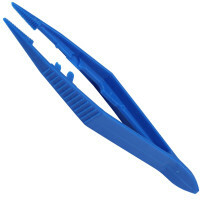 Unit dose packages provide quick, effective application without cross-contamination. Active ingredient: lidocaine HAL 0.5%, benzalkonium chloride 0.13%. 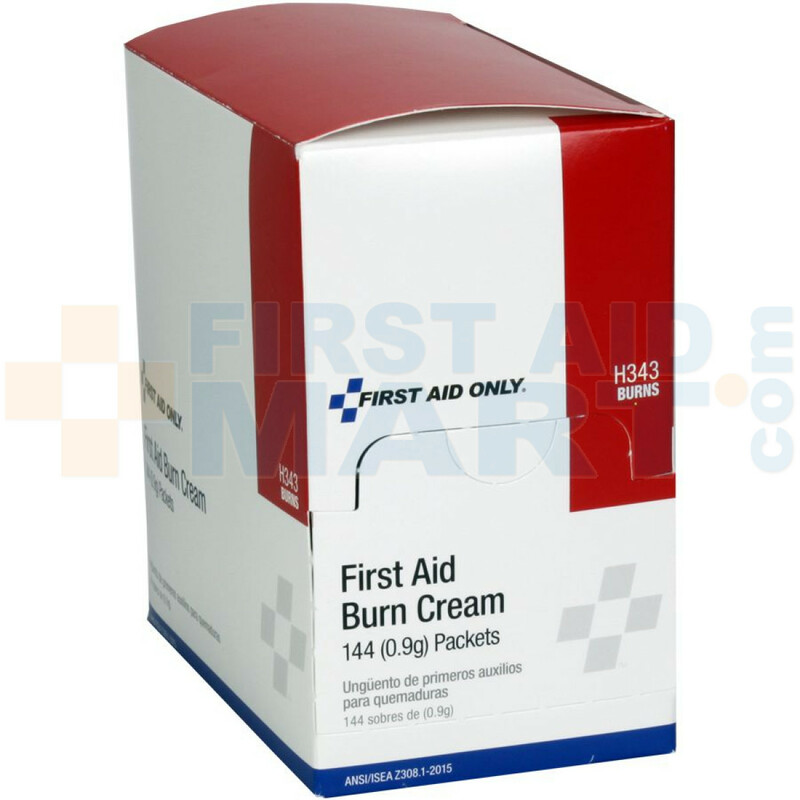 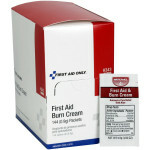 First Aid/Burn Cream, .9 gram - 144 Per Box - H343.